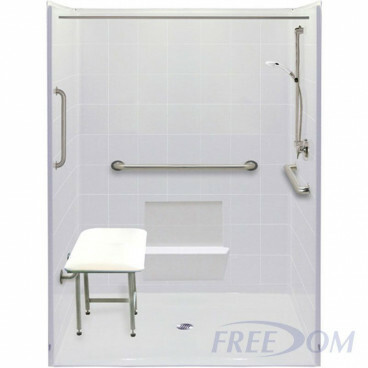 One of our larger Freedom Accessible Showers, this five-piece curbless shower model is excellent for remodeling when space allows. 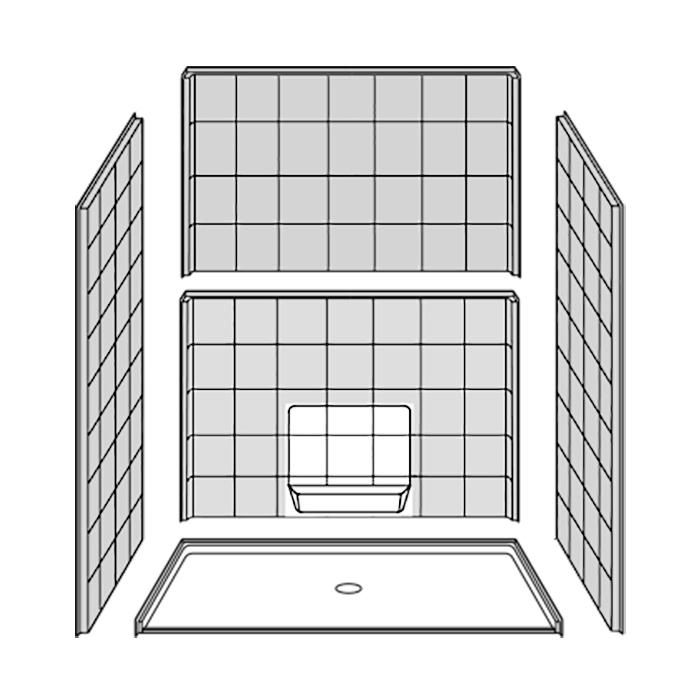 It allows lots of room for the user and extra space for a caregiver to assist if necessary. 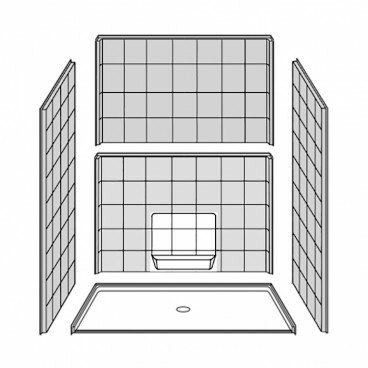 These handicapped shower stalls feature a center drain location and a low 7/8” beveled threshold, with a reinforced and pre-leveled shower base for the easiest installation. Full wood backing in walls offers strength and support for easy installation of grab bars and accessories. The Freedom fiberglass easy access showers feature a durable, luxurious and easy-to-clean applied acrylic finish with an 8” tile pattern. For peace of mind our Freedom Barrier Free showers for disabled and aging bathers come with a 30 year warranty on manufacturing defects.